SCAN IT! is an AR application jointly developed by Dentsu Inc. and Qoncept, Inc., utilizing Qoncept’s AR technology. The application enables smart phones to activate enriched AR contents, movies, and music by recognizing a specific image or AR marker printed on product packaging, newspapers, posters, etc. SCAN IT! 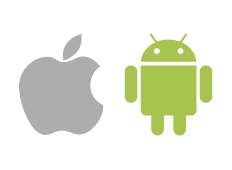 is an AR application compatible with both iPhone and Android OSs. SCAN IT! operates as a cloud service. AR contents and movies are distributed from servers on a demand basis. There is no need to develop an application for each content. The advertiser needs only prepare the content materials—we can commence AR contents distribution in as little as a week. SCAN IT! can also change the AR contents by the user’s tapping, or branch to other contents depending on the tapping point. For such AR materials, the advertiser only needs general 3D contents creation knowledge as the AR materials used in SCAN IT! are based on the Maya format.